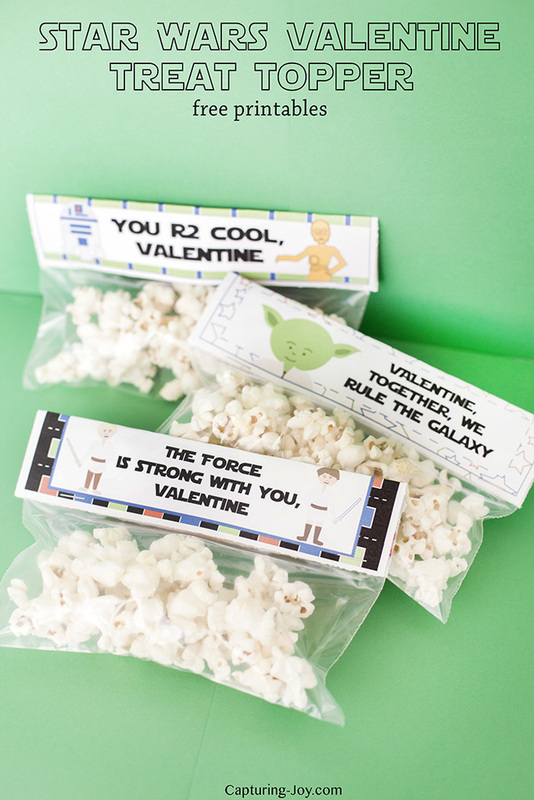 These printable Star Wars Valentines Treat Toppers are the perfect valentines for your little Jedi to give to his friends and classmates. Now that it is February, everything is in fast forward to Valentine’s Day. 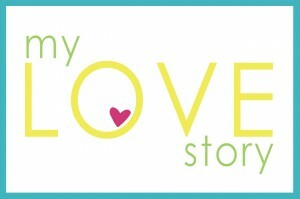 I think Valentine’s Day is such a fun day to celebrate. And not just in a romantic way. It is fun to celebrate friendships and family with little treats and tokens of appreciation. 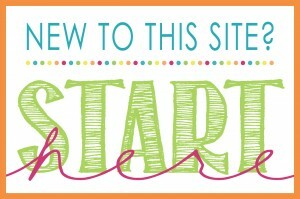 I have several fun printable valentines that you can use. But if someone in your family is a Star Wars fan, than these Star Wars Valentines are perfect for you! These Star Wars Valentine treat toppers fit a ziplock bag perfectly. Fill a bag with your favorite candy or snack mix, and you are all set for your school Valentine’s Day party. It’s quick and easy prepare these Star Wars Valentines. To make these Star Wars valentines, just print out the PDF below. Then cut out the images, fold them in half, and staple them to the top of your filled bag. Voila! The perfect Star Wars treat for any Jedi on Valentine’s Day. You can download the PDF for the Star Wars Valentine Treat Toppers HERE! 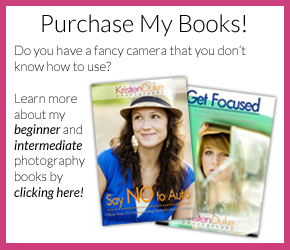 Want to make the valentines extra special? 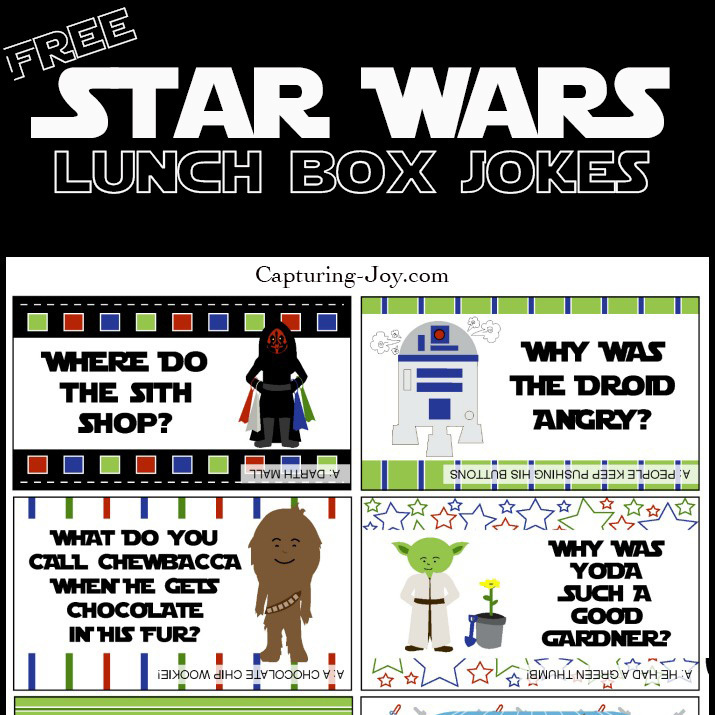 Print off a copy of my free Star Wars Jokes, cut them apart and put a couple into each treat bag! 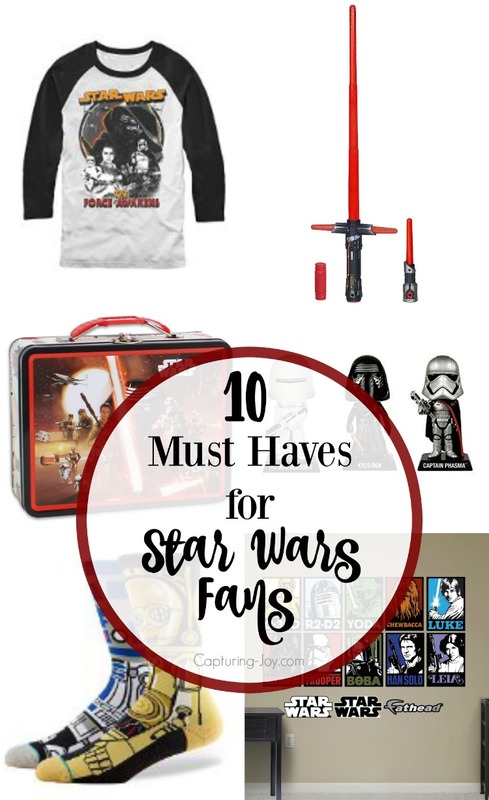 If it is your Valentine that is the Star Wars fan, make sure to check out my collection of must have gifts for Star Wars fans. You might find just the right gift to give this Valentine’s Day.